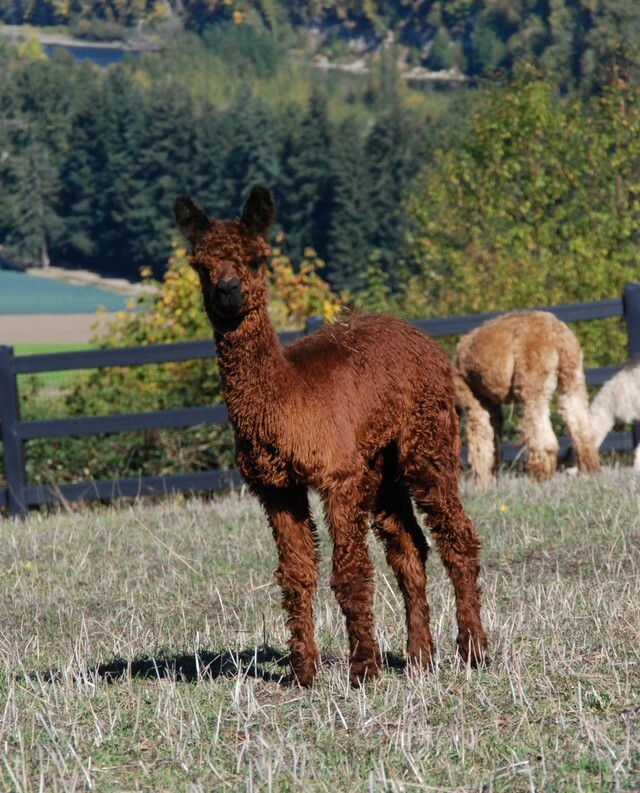 Shiraz is a tall, black-eyed beauty with dense and soft medium brown fleece. 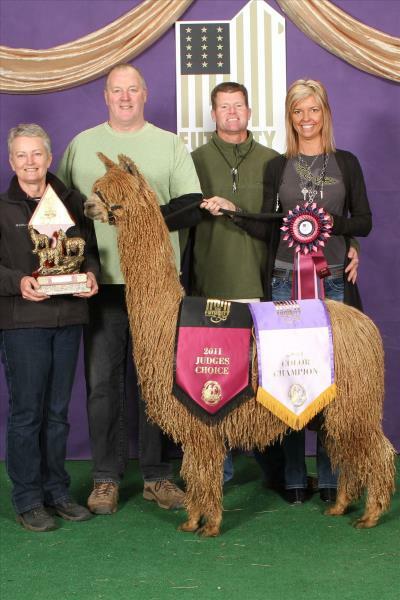 She moves with stately elegance whether in the pasture or the show ring where she dazzled the judges and became a 4th Generation COLOR CHAMPION at 2010 International Alpaca Odyssey. Here's one of our top females available for you to purchase. Sired by the astounding service sire Chakotah's Wyuna, Astoria's genetics are some of the top genetics on our farm. 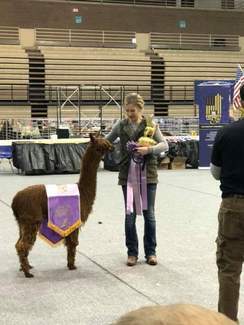 Her dam Shiraz of PVA, is a multiple time Color Champion winner who is sired by the one and only Koyoto of PVA (a multiple time color champion). 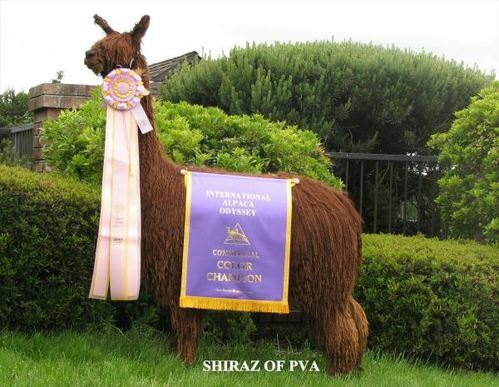 Shiraz's dam is Syrah of PVA, one of Park View Alpacas foundation female; also multiple color champion winner. Astoria is a sweet tempered girl that loves getting some attention. Her show career started in the spring of 2015. She took a first place at 2015 AOA National Alpaca Show in Grand Island, Nebraska and a third place at the 2015 CABA Classic. Astoria's fleece has a cool slick handle that is just like silk. 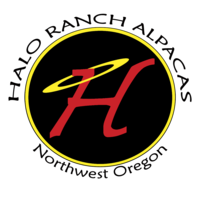 Astoria had a short show career due to fiber breakage. With these top genetics she is sure to produce some amazing offspring. 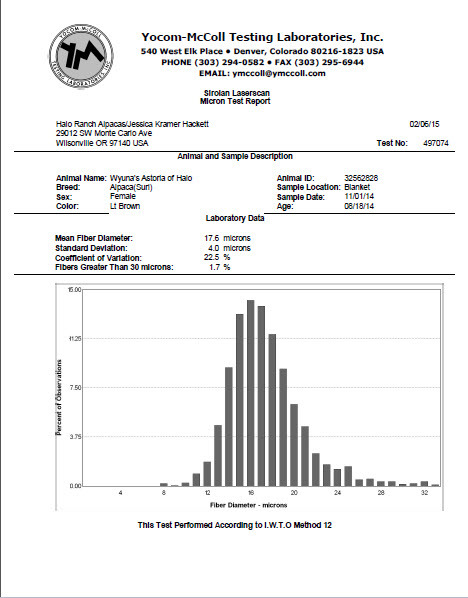 Check out her histogram and you'll know why we love her so much! 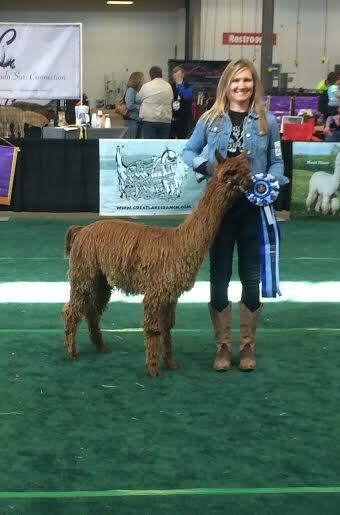 Astoria had a beautiful brown male by GLR Nico, Papa Brown of Halo, who took Reserve Color Champion at 2018 Futurity.